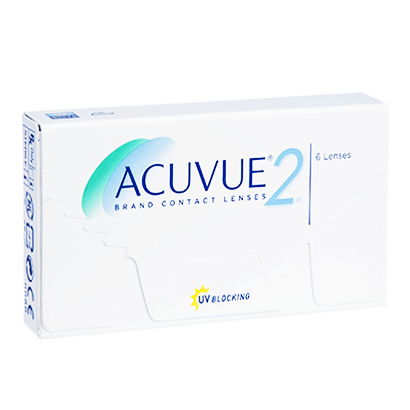 Acuvue 2 contact lenses from Johnson & Johnson are highly comfortable lenses that deliver crisp and clear vision alongside great comfort. 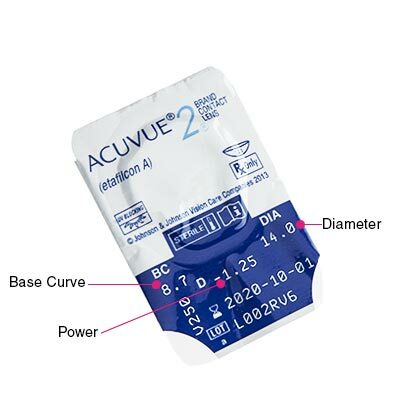 Acuvue 2 lenses offer 88% oxygen transmissibility to prevent dry eyes, and are available for both short-sightedness and long-sightedness. A water content of 58% ensures the lenses stay soft and hydrated all through the day. The breathable lenses deliver allow for your eyes to enjoy an adequate supply of oxygen making the lenses highly breathable. 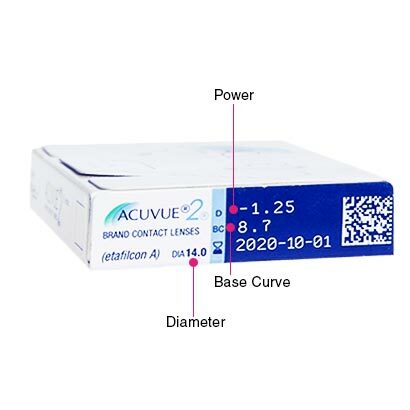 Acuvue 2 contact lenses can also be worn as extended wear lenses, which means you can wear these lenses both day and night for up to a period of one week, without needing to remove them every night. This is suited to people who work long hours or for people who are frequent travelers. However, it is first advised to consult your optician to make sure that extended wear is suitable for your eyes. Maintaining the quality and hygiene of your lenses is important to avoid any kind of infection. To do this, you’ll need to clean and store your lenses in contact lens solution. We stock a wide range of lens cleaning solutions. You can also try Acuvue Oasys , which is an upgrade to Acuvue 2 in terms of comfort, and offers the upgraded HydraClear Plus technology.